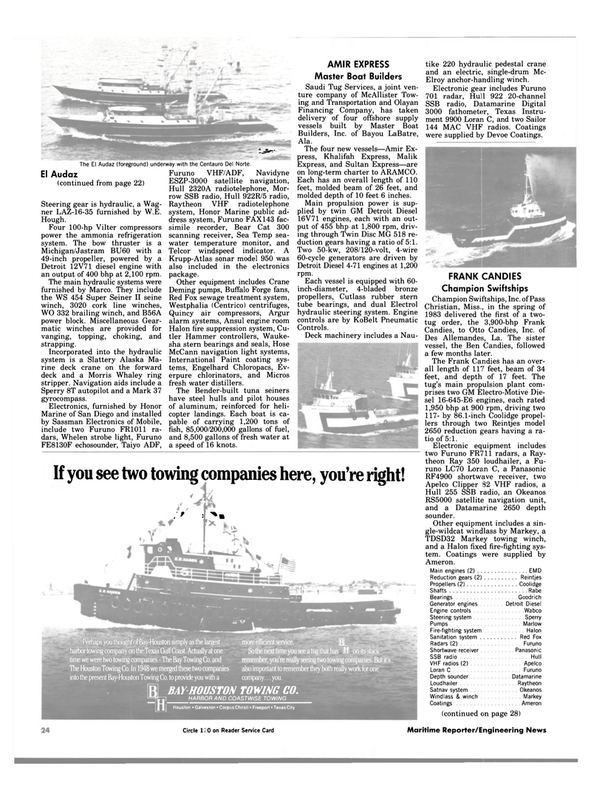 Perhaps you thought of Bay-Houston simply as the largest harbor towing company on the Texas Gulf Coast. Actually at one time we were two towing companies - The Bay Towing Co. and more efficient service. The Houston Towing Co. In 1948 we merged these two companies also important to remember they both really work for one into the present Bay-Houston Towing Co. to provide you with a company... you.